Roanoke County Jail (540) 283-3145. Information about release or status of a defendant: If the person who hurt you was arrested, the police have taken him / her to the Magistrate’s office at the Roanoke County Jail at 401 East Main St. Salem, VA 24153. The person may be held in custody until he or she goes before a judge or may be released on bond. If you want to know if the person is being held or has been released, call the Roanoke County Jail. 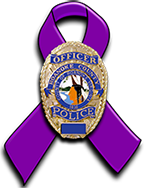 VSDVAA - The Virginia Sexual & Domestic Violence Action Alliance is Virginia's leading voice on sexual and intimate partner violence. www.vsdvalliance.org.